Guys, like the title says, is it possible to get the Samsung Galaxy Note 3 Neo for just RM850 when the retail price is set at RM1699? Well, yes because Samsung Malaysia Electronics will be having a special promotion for a limited time, which is from tomorrow 20 May until Thursday, 22 of May. You have to definitely rush and get this offer as only a total of 1240 units of the Samsung Galaxy Note 3 Neo will be made available for purchase at any of the selected 62 participating Samsung Mobile Brand Stores nationwide. For the list of stores, check out here and here. If you have no idea about the specifications of Samsung Galaxy Note 3 Neo, it features a 5.5″ Super AMOLED 720p display with the resolution of 720×1280 resulting in a pixel density of 267ppi. 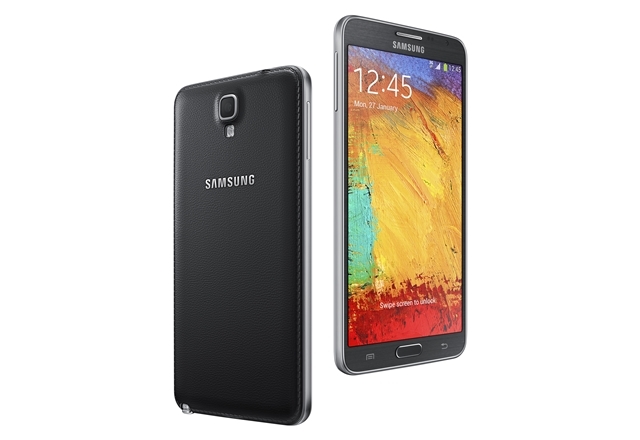 The Samsung Galaxy Note 3 Neo has 2GB of RAM and 16GB of ROM with the support of microSD slot up to 64GB. Powered by a hexacore processor made of a quad core A7 chip and dual core A15 chip clocked at 1.3GHz and 1.7GHz respectively. The phablet has a 8MP rear camera and a 2MP front shooter. Our local Samsung Galaxy Note 3 Neo does not have LTE connectivity support and limited to only HSDPA+. Last but not least, the battery capacity is set at 3100mAh for a decent battery life equivalent to the Samsung Galaxy Note 2 which features the same capacity the other end. The outlook of the Samsung Galaxy Note 3 Neo is exactly identical to the Samsung Galaxy Note 3 with leather like back design and S-Pen still existing despite it still remains as a member of the Note family anyway. Alright, not supposed to brag too much. Go and grab your Samsung Galaxy Note 3 Neo at RM850 while stocks last. It’s half the price when you compare directly with the retail price which makes it really worth of purchasing. Will you grab this wonderful promotion? If you purchased one after reading my post, please feel free to share your success story of getting the phablet for a half price in comments section.